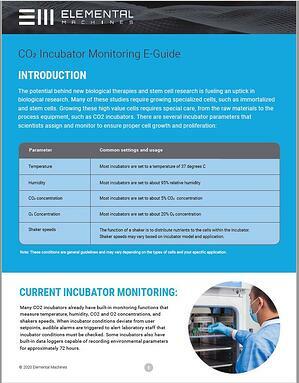 How can you efficiently monitor environmental conditions within your CO2 incubators? Are you incubating high value cells as a part of your research? How do you know if your incubators maintain proper environmental conditions for the duration of the cycle? If you would like to monitor your incubators 24/7 to ensure your cells are afforded proper conditions for growth, Internet of Things (IoT) technology could be the perfect solution. Learn about current methods to monitor incubators conditions and how IoT technology offers more coverage over traditional approaches. Download our complimentary white paper to see if IoT-based incubator monitoring is right for you.